You might not regard Karaoke as a very restful activity – especially if it goes on all night – but the way we do Karaoke in the UK is unheard of in Japan. 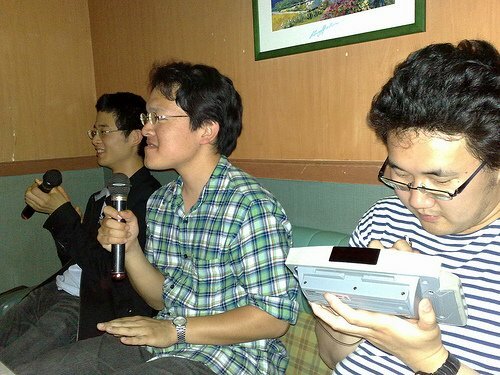 In its native land, Karaoke takes place in a private room together with friends, rather than in public. Around eleven at night, when it’s already too late to sing before catching the last train home, great value all night deals become available. There’s a good chance you’ll be approached by touts on the street, but if not it shouldn’t be hard to find a ‘karaoke box’ – there are heaps in all major nightlife areas. Rooms are available for from two people up to about twenty, though most fit around six to eight. All deals include unlimited songs, and often unlimited drinks. In each sound-proofed room, there are sofas surrounding a low table in the middle, and two sets of menus, one for songs and one for food and drinks. There is always a good selection of both English and Japanese songs, which you select by typing the numbers given on the menu into the Karaoke machine. It’s then just a case of one or more of you grabbing a mike and singing away – but without the potential embarrassment of making a fool of yourself in front of strangers. 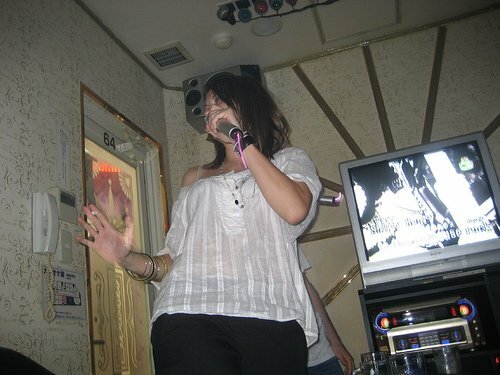 The attitude to Karaoke in Japan is that it’s about taking part and having fun – not showing off how talented you are. 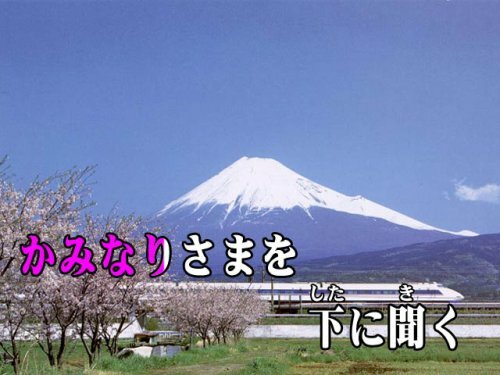 Even if you’re tone deaf, any Japanese people you’re with will expect you to sing at least once or twice, but they won’t make fun of you even if you make a complete hash of it. The method for ordering refreshments varies from place to place – sometimes you use an intercom to call to reception, or press a button to summon a waiter or waitress, while other times you enter your order into a machine, and it’s then sent to the kitchen automatically. Food is usually limited to snacks and deserts, but a full range of alcoholic and soft drinks will be available. Sooner or later, you’re probably going to start falling asleep, but there’s certainly no requirement to sing all night (or at all). Many people go to karaoke boxes simply to chat to their friends, or to curl up on the sofas and sleep. They usually close around the time the first trains begin to run, so you’ll probably have to leave at about six in the morning. While I’m certainly not recommending it for more than one night in a row, all night karaoke can be an interesting experience, and from about ¥1,500 per person, it’s a cheap way of getting a reasonable night’s sleep. There are karaoke boxes all over Japan, some independent, many more part of large chains: 747 have a huge number around Tokyo, while Karaoke Kan has a big network nationwide.